When is Cloud going to be available for download?! What a useless post. Stop bragging about it and get it release! Agreed! Let us take it for a spin! Hey I want Cloud too... give it to me. I'm so excited. Can't wait to see it at CES... as I'M GONNA BE THERE TOO!!!! I have an Aspire One. Can I help test it a Beta? when can you get it for download ? so please give us a time . Please! Must be the turning point for ultra low cost netbook. What is the configuration of your laptop? 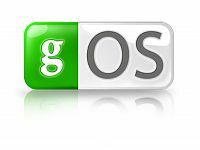 Does anyone know what gos 3.1 is ?? is this cloud? Cloud...did not notice that in the DOWNLOAD area. Only saw gOS which DOES NOT WORK with Wireless in a lot of shipping laptops so it binds us back to a desktop. Sort of defeats the purpose of...being disconnected from a wire. Am interested in CLOUD when I can float away with it. So, when can we download it?! Does it work on Macbooks? It said "Any Operating System" after all! gOS Cloud sounds like what every computer should start up with when first turned on! Then we can choose whether or not to load the traditional, bloated, overloaded, over-priced stuff from that old dinosaur Microsoft. Or a smoother Linux OS. gOS can simply allow us more freedom. Hi: sorry "bout the weather - tho' it seems bright with promise? I think the message saying that cloud is coming soon can be removed or modified to inform others that it's not available nor will be. I don't know why it's been advertised for over a year saying it's coming soon. that's a big let down. couldn't be that good if it's still coming soon after over a year.